AS THE MDC congress approaches, the country’s largest opposition party continues to send contradictions. 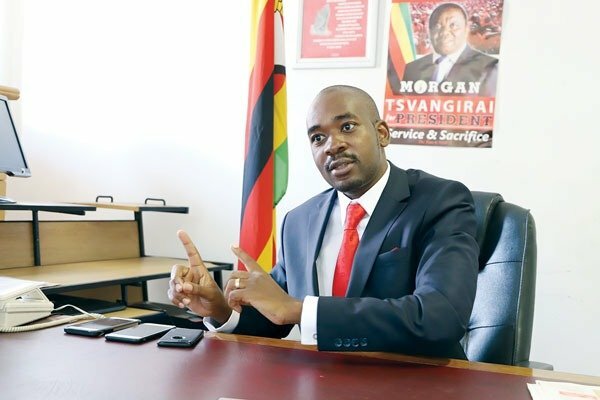 On Sunday, its secretary-general Douglas Mwonzora announced that he would contest to retain his current post – ending weeks of frenzied speculation that he was set to slug it out with interim leader Nelson Chamisa – who also on the same day lauded his colleague for “a show of unity”. “I came here to say this on my own. I, Douglas Mwonzora, who comes from here, have agreed … that at the congress the president will be Chamisa. “We also agreed that I will try to get the position of secretary-general of the party. “President Chamisa will complete what he started and I also want to finish what I started in my position,” Mwonzora said to wild cheers. But as we report in our main story today, Mwonzora has threatened to pull out of the congressional race altogether – citing many irregularities which he says have not been dealt with by the party Independent Complaints Commission. While both democracy, as well as inter- and intra-party political contestations can – by their nature – be messy, there is a real danger that the MDC could once again be headed for major strife pre- and post its congress, to the detriment of the country. It can be argued that Zimbabwe has never needed a stronger MDC since former president Robert Mugabe’s ruinous four-decade rule was dramatically ended by a military coup in November 2017. What with the country’s political and economic problems now threatening to match the worst of what happened under Mugabe’s incompetent and disastrous tinpot dictatorship. Sadly it is increasingly becoming difficult to comprehend what will come out of the current processes and in the aftermath of the congress itself. The MDC should guard against creating a party that is full of friends and lackeys of Chamisa whose main duty is to retain the confidence of the millions who voted for him in last year’s historic elections – through showing true and respectable leadership qualities. This world is unfair…. people cry foul when unfair things are done to them but often choose to be very unfair when it is their turn to display fairness. This is the world we have and when one has an advantage they exploit it for themselves….